Sharon “Sherrie” Jones passed during the early morning of Tuesday the 27th of March after a hard battle with Lung Cancer in Boise, Idaho. Sherrie was born in Dakota City, Nebraska on July 14th, 1941. Sherrie was the second of eleven children born to Wanda Marie Combs and Chester Arnold Rolland. Sherrie married Ronald Wayne Jones in 1960. They had four children, Catherine Marie (Cathi), Robert Warren (Bobby), Susan Rae (Susie), and Christine Margaret (Maggie). As a military family, the family was able to live all over to include, Yokosuka, Japan; San Diego, California; Klamath Falls, Oregon; Honolulu, Hawaii and Sioux City, Iowa. Sherrie had many hobbies in which she excelled. She was a great bowler and was involved in various leagues. She has made many beautiful blankets with her crocheting and knitting skills. 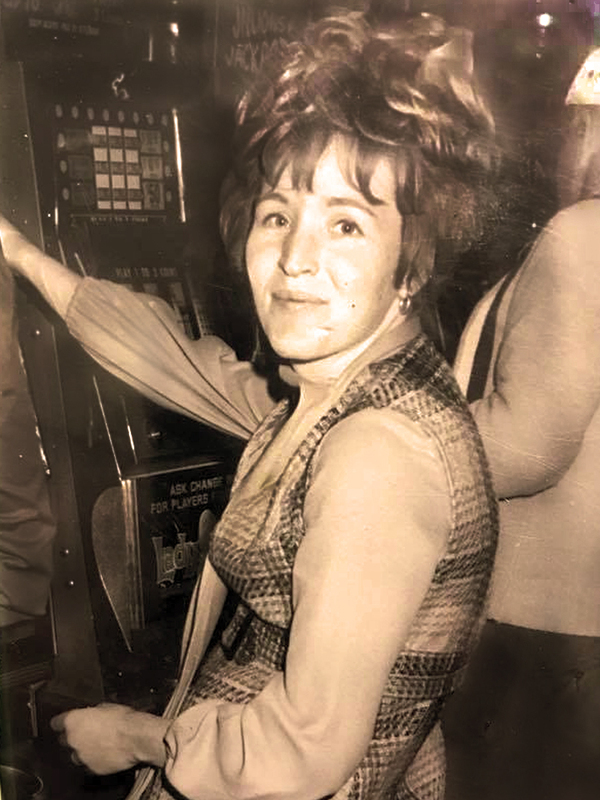 She was an avid Bingo player and loved making new friends in the bingo halls. Sherrie was a beautiful soul and could make anybody around her smile. She had a great sense of humor and was always laughing. She loved her family more than anything and was always eager to praise them, even to strangers, although nobody stayed a stranger long to her. Sherrie will be missed in the deepest sense of the word, but she will be watching over all of us to make sure we’re not mean to each other and that we call each other more and that we tell each other “I love you”. Sherrie was predeceased by her parents, and 2 siblings. She leaves behind 6 sisters and 2 brothers. She also leaves behind her 3 daughters, Cathi, Susie (married to Stacy Rutherford) and Maggie, her son, Bobby, 7 granddaughters, Jaclyn, Samantha (married to Joe Ritchey), Chelsea (married to Brady McDaniel), Alexandria (married to Kyle Barrett), Kaitlyn, Taylor, Kamryn, 3 grandsons, Maxwell, Kaleb, Christian, 4 great-grandsons, Nickolas, Brycen, Jayce, Silas and one great-granddaughter, Avery.